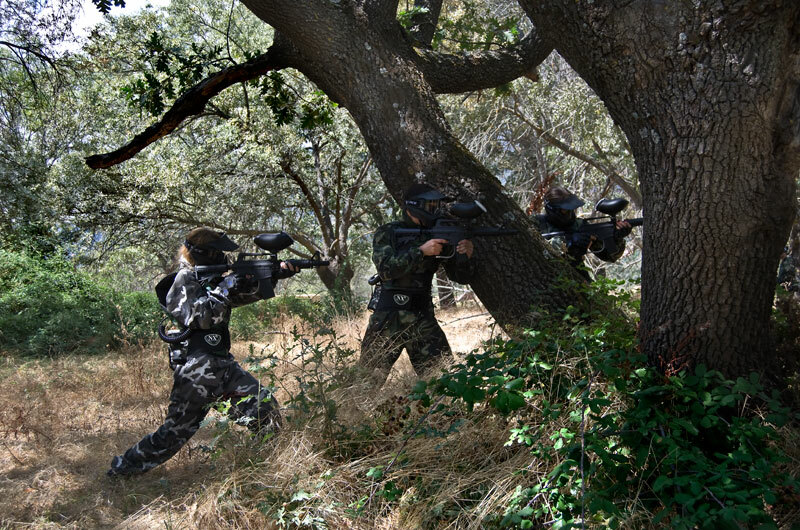 Enjoy a great game in the best Paintball field in Spain! 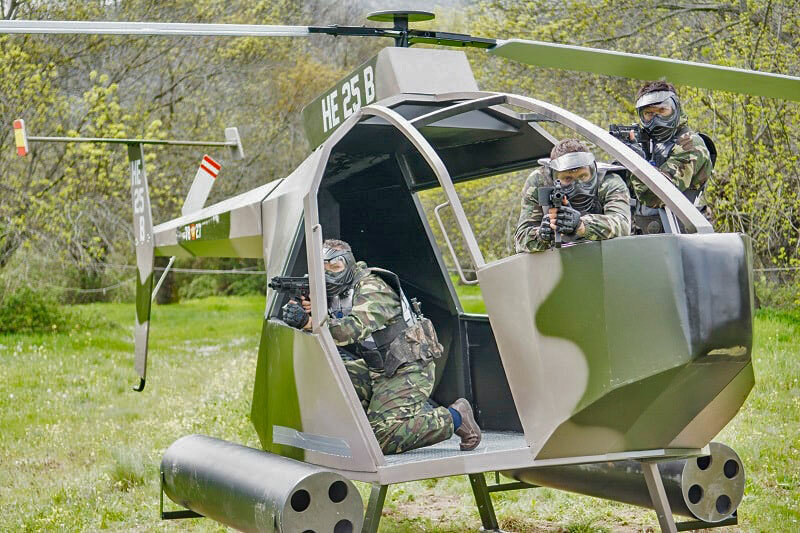 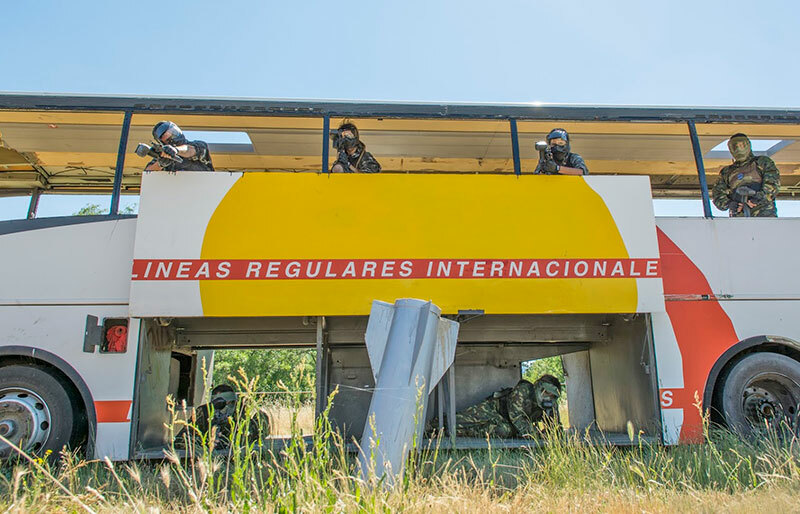 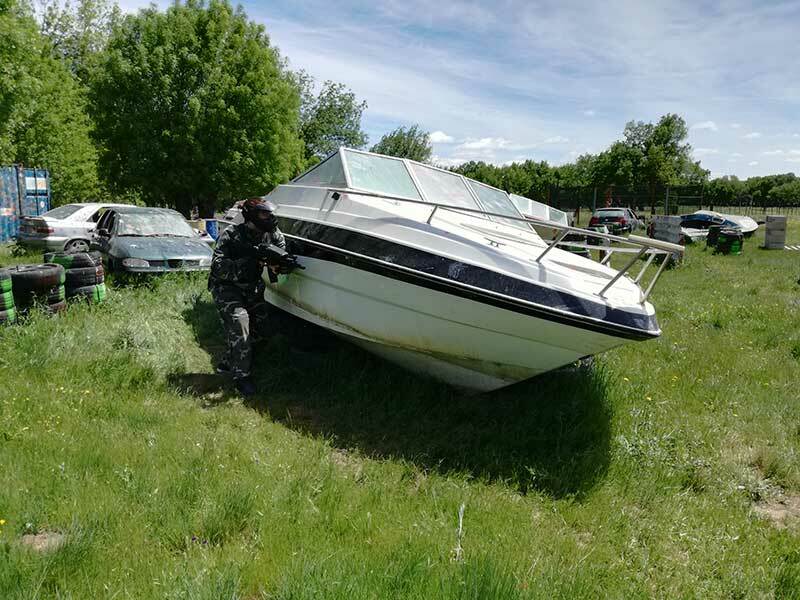 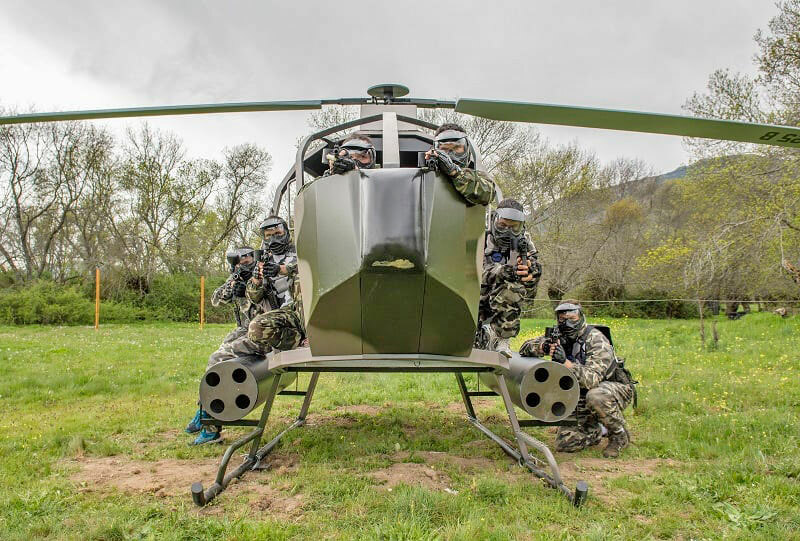 In this huge scenario, you can cover yourself behind our plane, shoot with your equipment from inside the helicopter, rescue a wounded soldier inside the tank, or ambush your enemy from military vehicles – there’s really no other scenario like this! 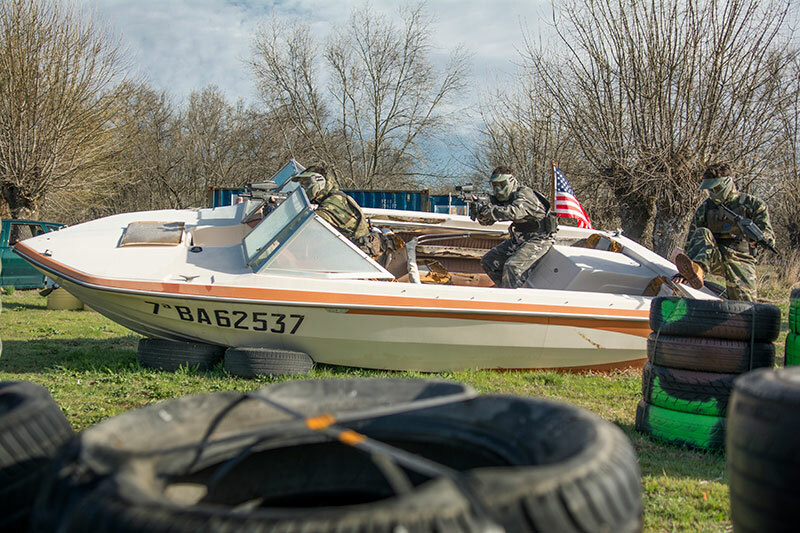 Several bombs have fallen on the city, and everything is devastated. 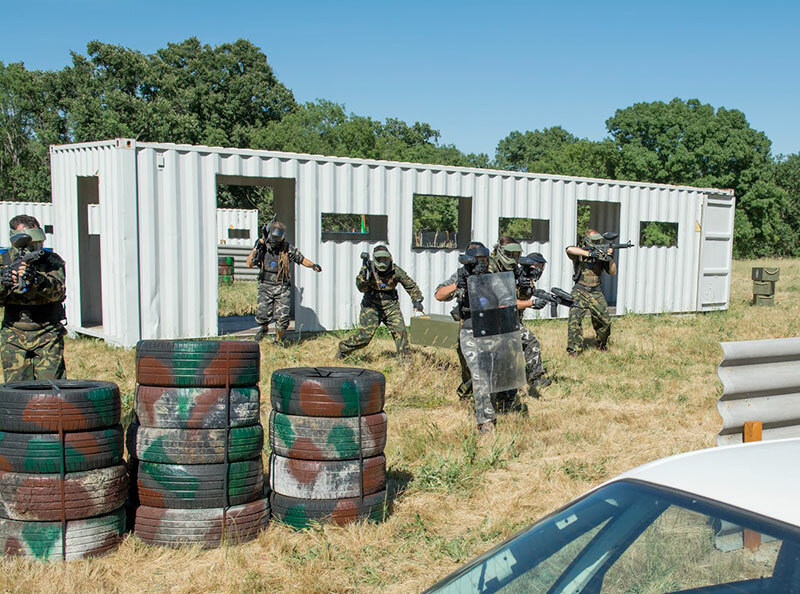 You will have to fight against your enemy protecting yourself in our huge bus, inside the containers and warehouses, behind the cars, or from the turret. 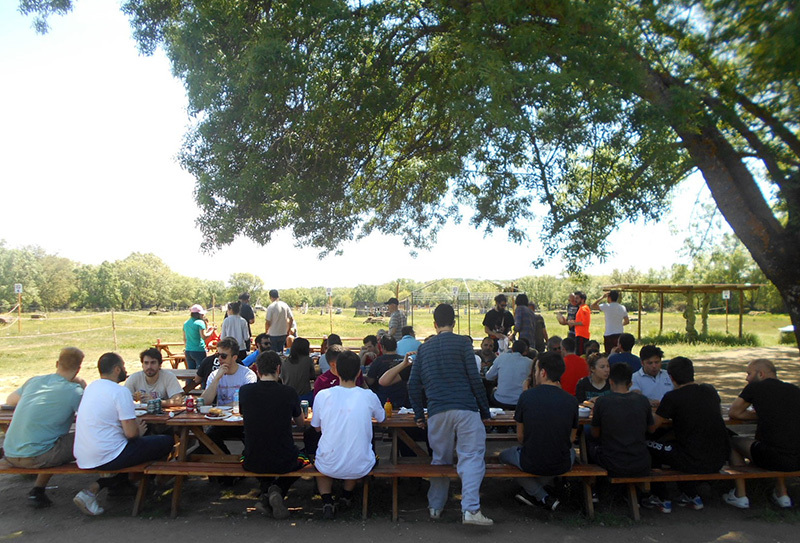 In this field we make games that are not made anywhere in Spain. 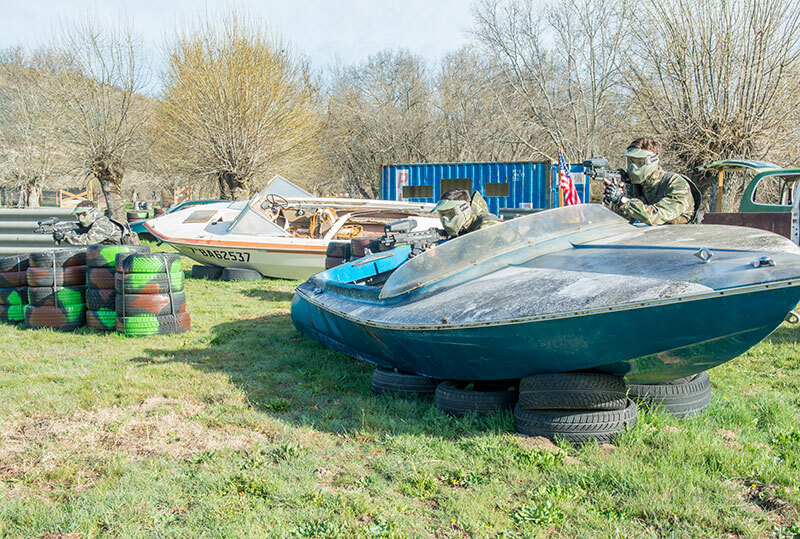 This impressive setting is a recreation of the famous Normandy Disembarkation, where the Allied forces won a major battle against the Nazi army. 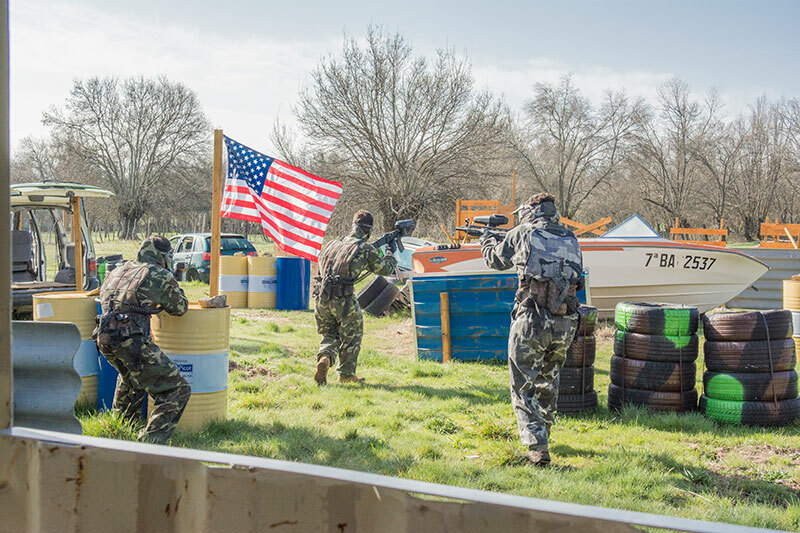 You will play among the huge boats, turrets, bombs, parapets, vehicles, containers and dozens of obstacles to achieve a victory that will be key in World War II! 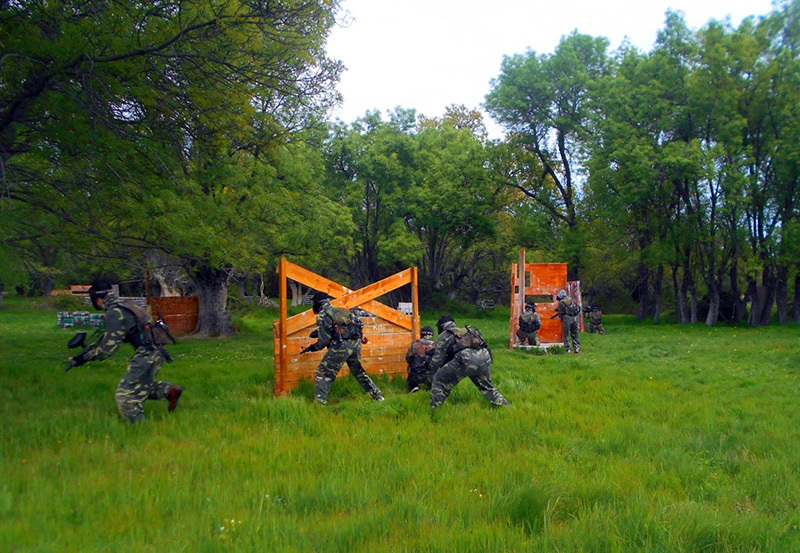 Will you be able to defend The Fort from your mighty enemy? 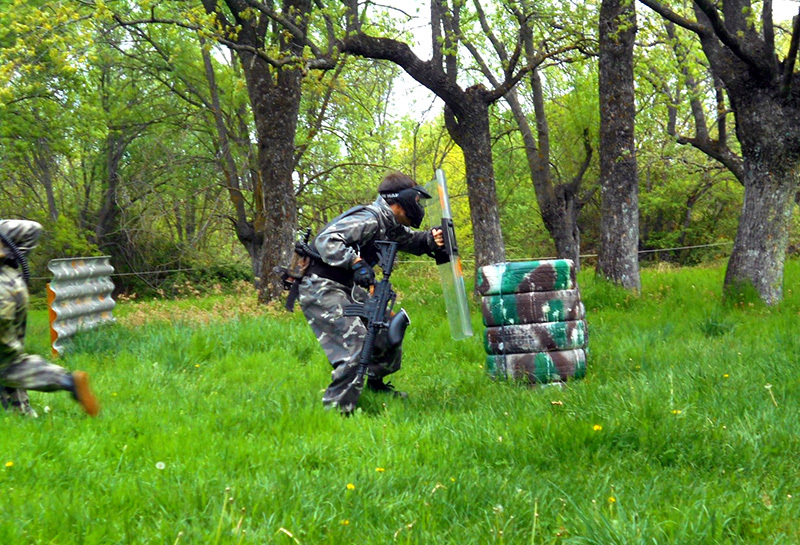 Will you use The Tower to have an advantage and detect them before they can assault you? 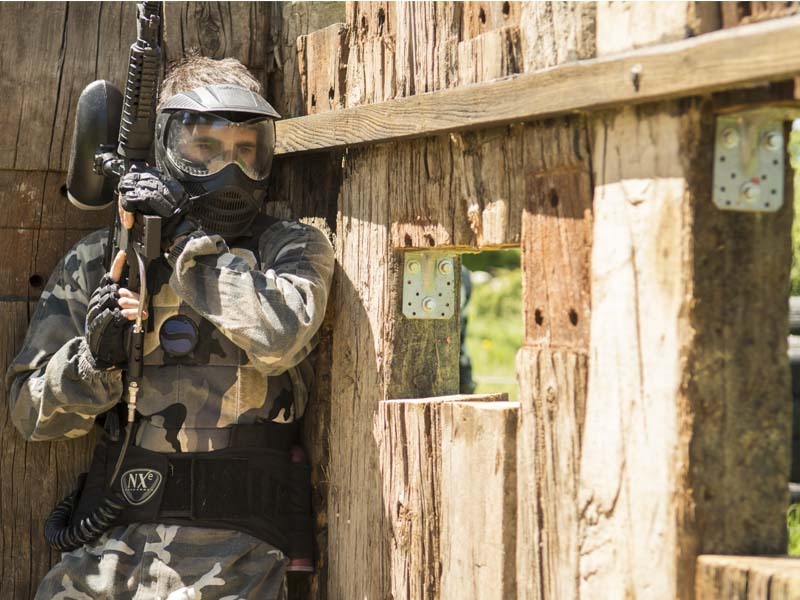 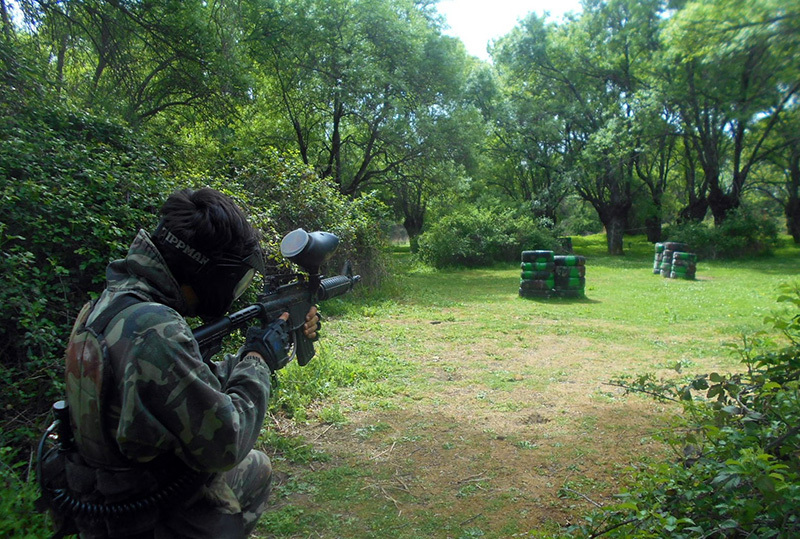 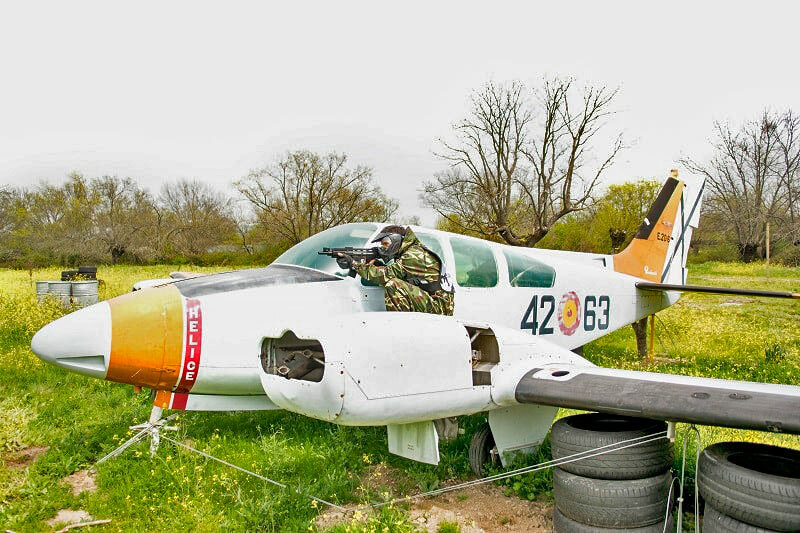 In this scenario anything can happen, try it in the best Paintball fields in Madrid! 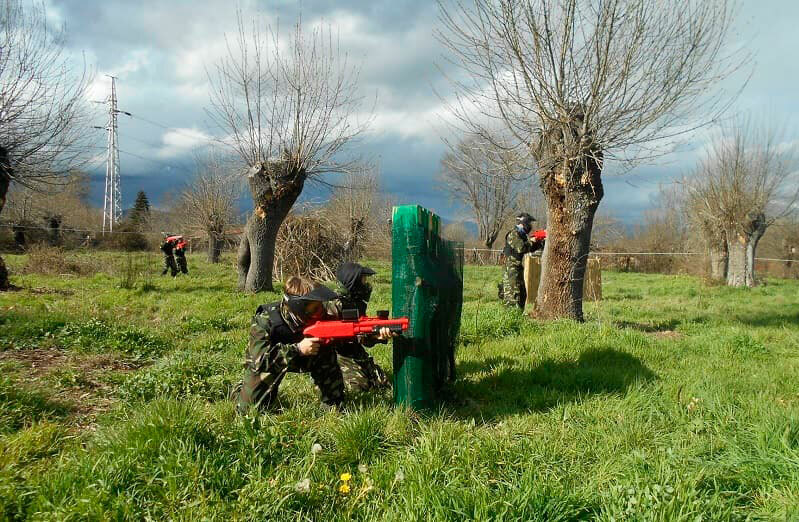 Largest field in Spain with a dimension of 4 hectares (40,000 square meters). 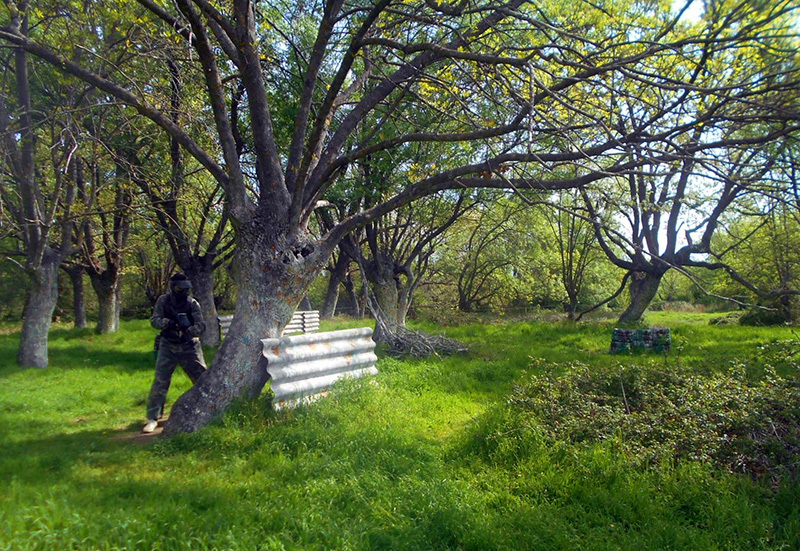 Combine strategically placed obstacles with an infinity of huge trees and undergrowth. 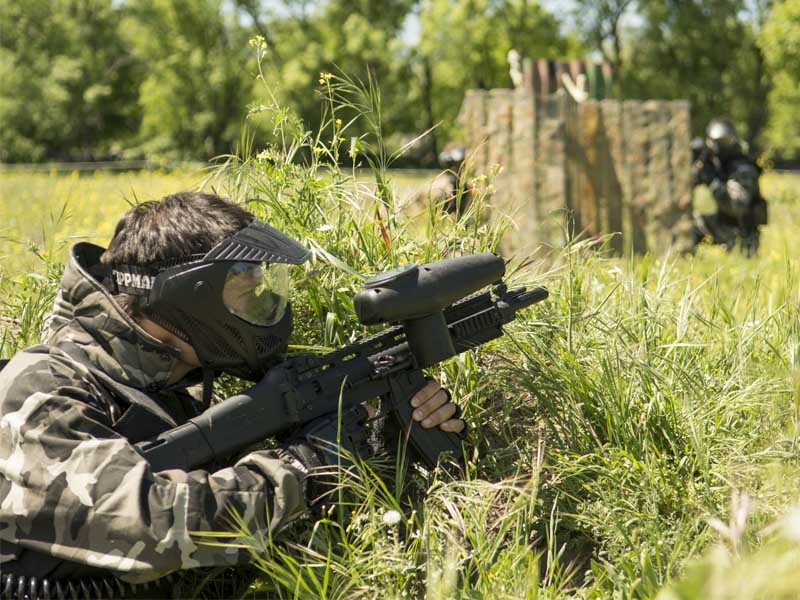 Perfect for ambushes, surprising the enemy, and plan the best strategies! 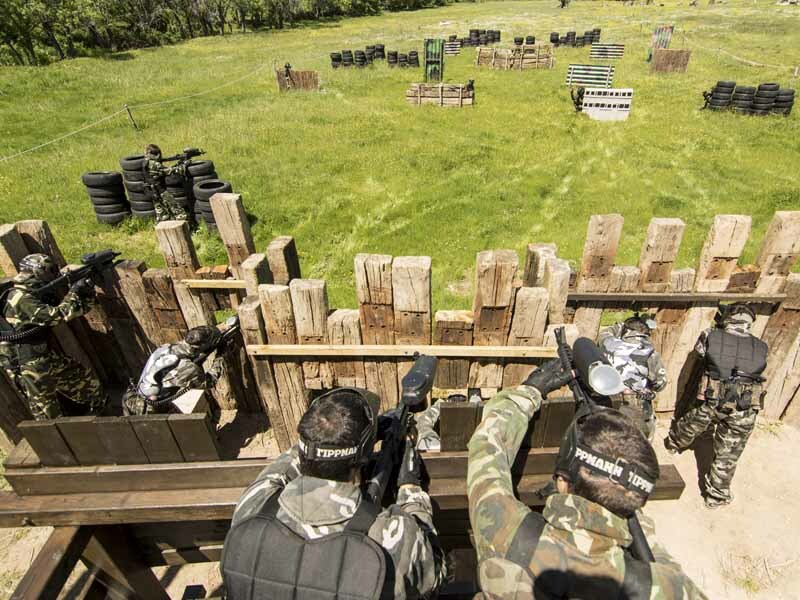 Almost 10,000 square meters of a field that combines speed-ball with assaults on the Watchtower and the Indian Tipi. 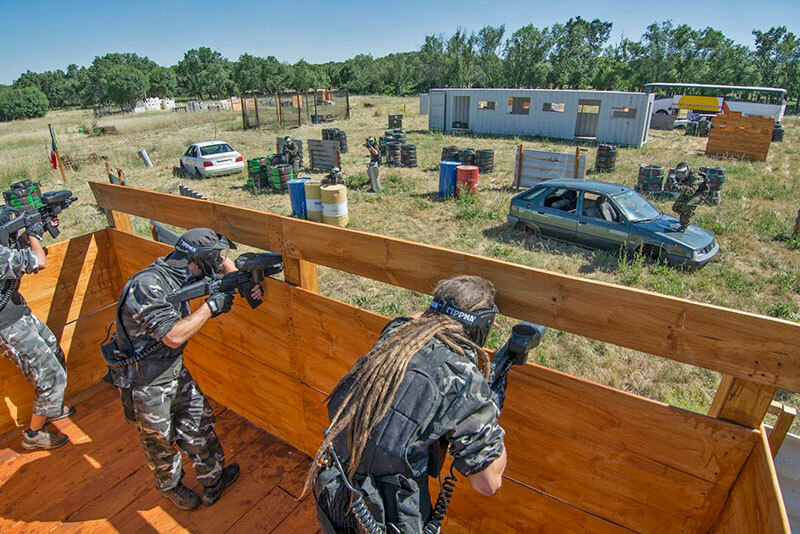 Use the advantage of being high to detect your enemy and prevent them from advancing! 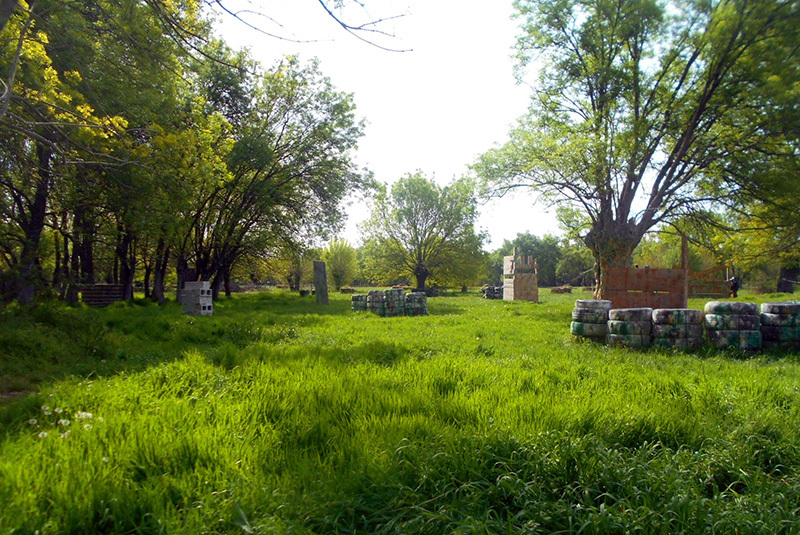 Field of more than a hectare and a half (15,000 square meters) with the option of joining the stage of La Llanura. 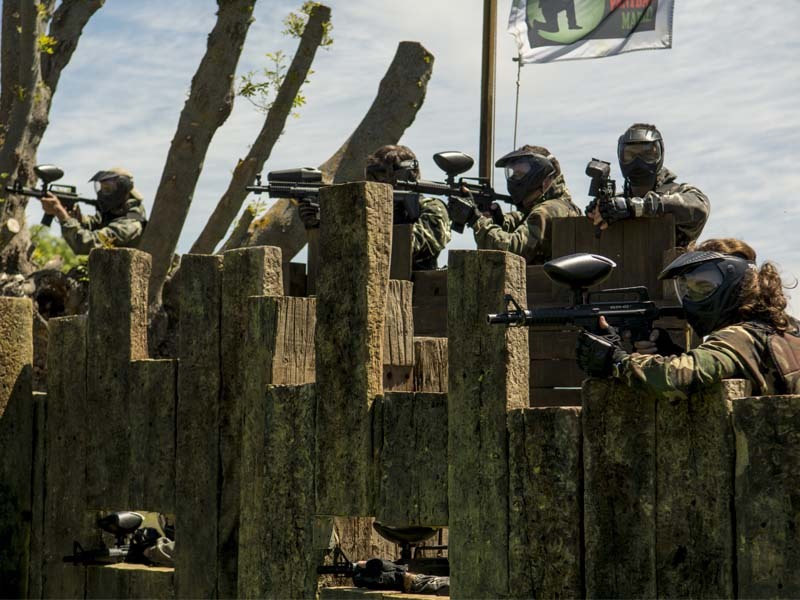 Hundreds of trees, shrubs, parapets and a lagoon will protect you from your enemy – you’ll feel like you’re in a completely real war! 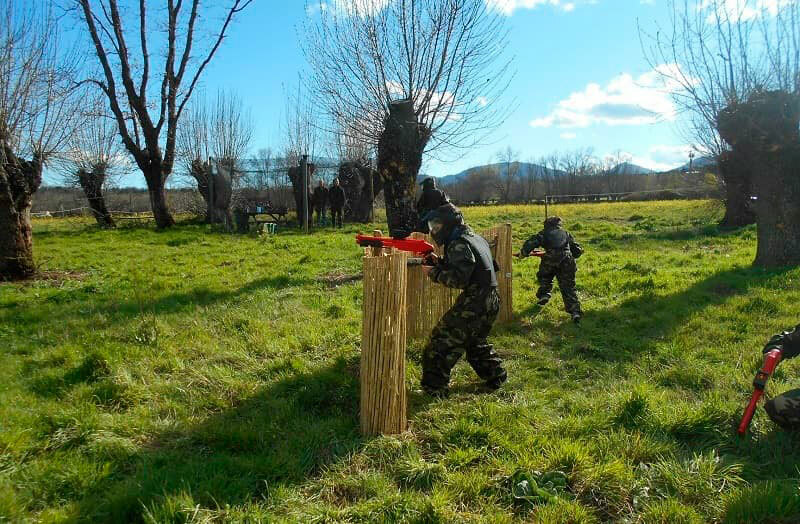 This course is specially designed for children: it is a stage in a forest of large rectangular ash trees, with the lowest obstacles and parapets to adapt to the size of the children. 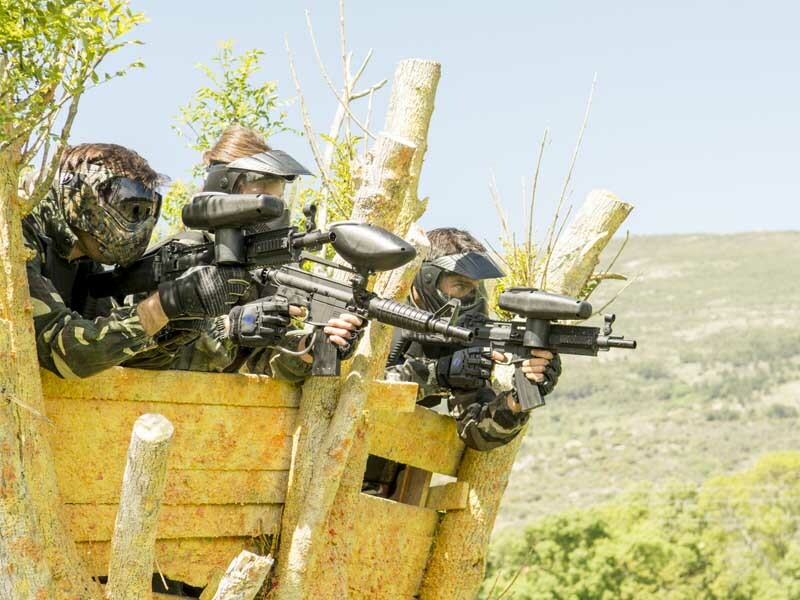 They will have a great time! 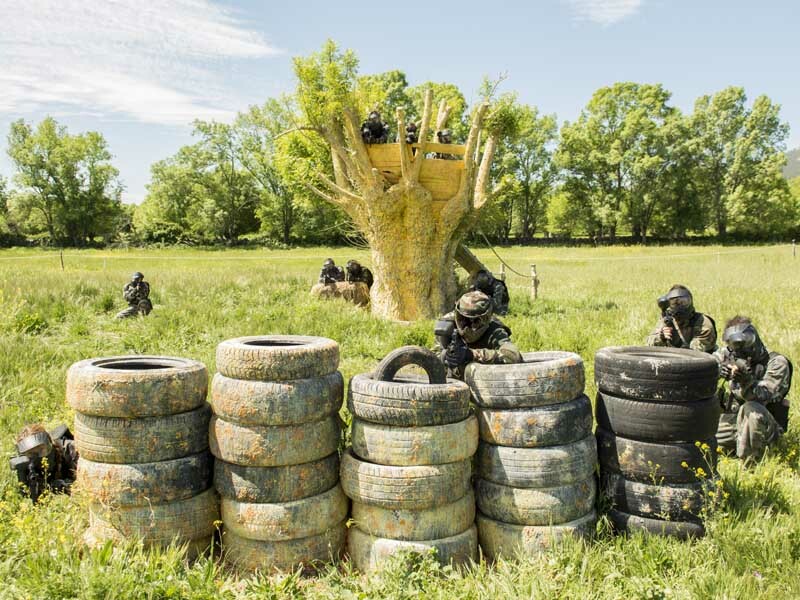 Beautiful field of one hectare (10,000 square meters) that combines trees and clearings, with dozens of obstacles and places to hide, protect, and surprise your enemy; this field can join the Forest leaving a stage of 25,000 square meters. 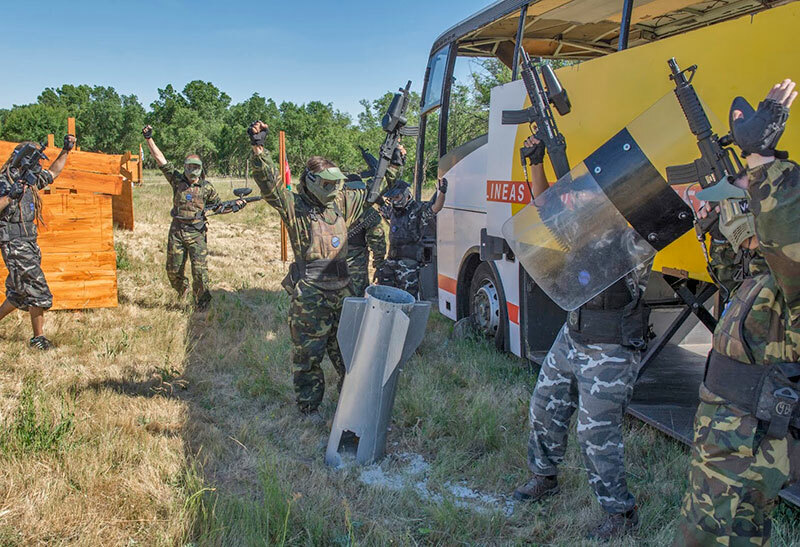 In our Paintball fields in Madrid you will find everything you need to enjoy a day that we are sure will be unforgettable. 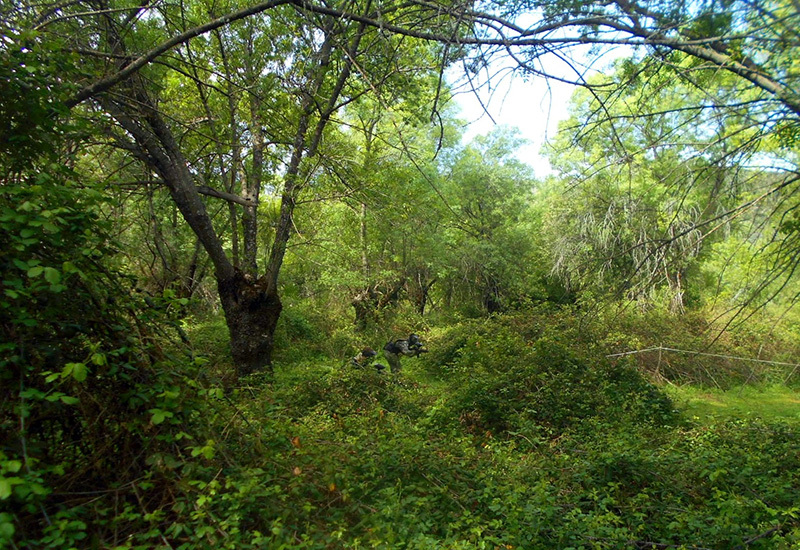 Our facilities are located in a land protected by its high landscape and ecological value, in which we have designed a completely rustic and natural space for you to really disconnect from the noise and stress of the city. 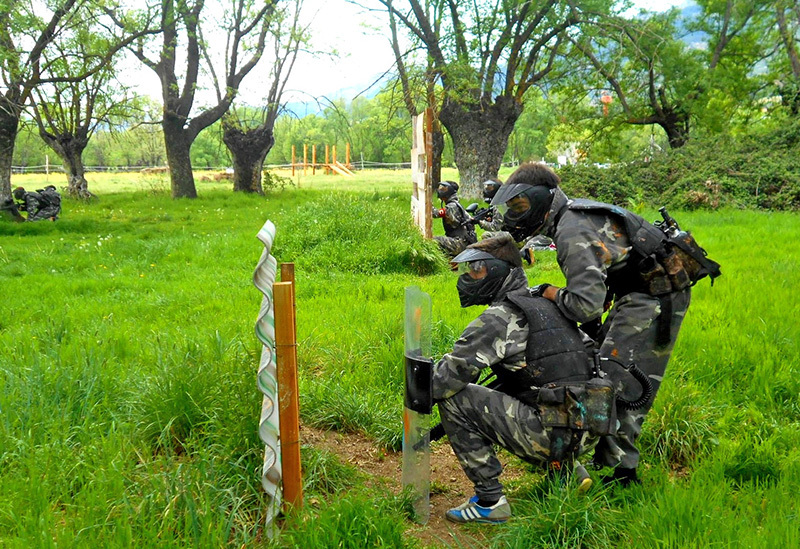 Come and enjoy the best Paintball fields in an environment of 150,000 m2 with forests, lagoon, mountains, and spectacular views! 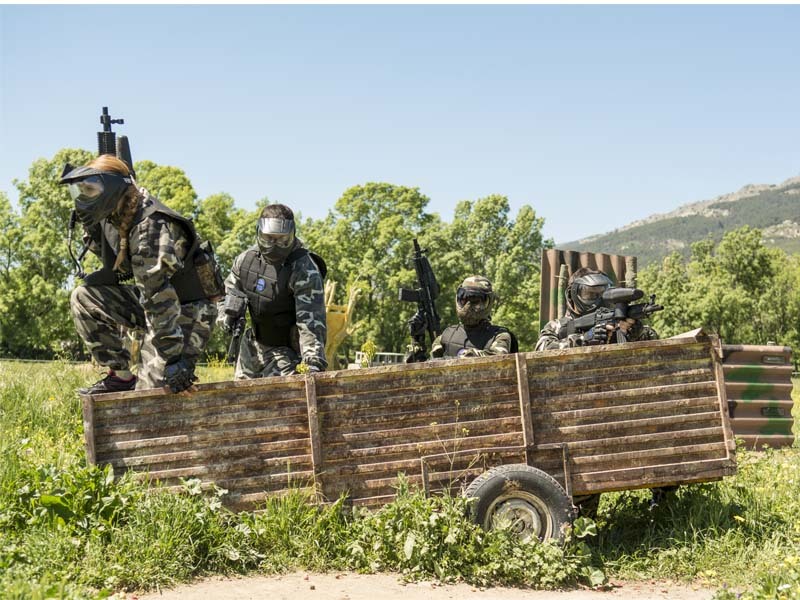 We currently have 9 huge stages for you to play as much as you want, without having to repeat fields or obstacles (one of them is the largest field in Spain, with more than 4 hectares, no multi-adventure company Madrid has a forest stage so extensive where huge battles can be held). 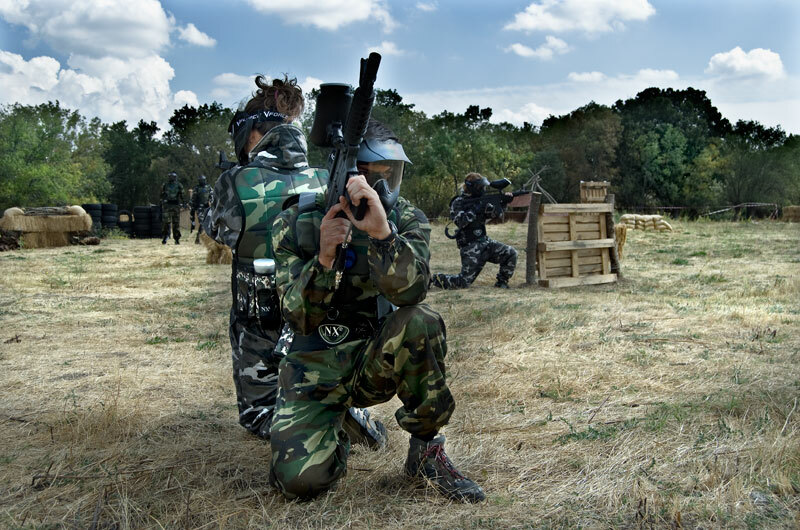 Design with your team the strategy that best suits each field and each game! 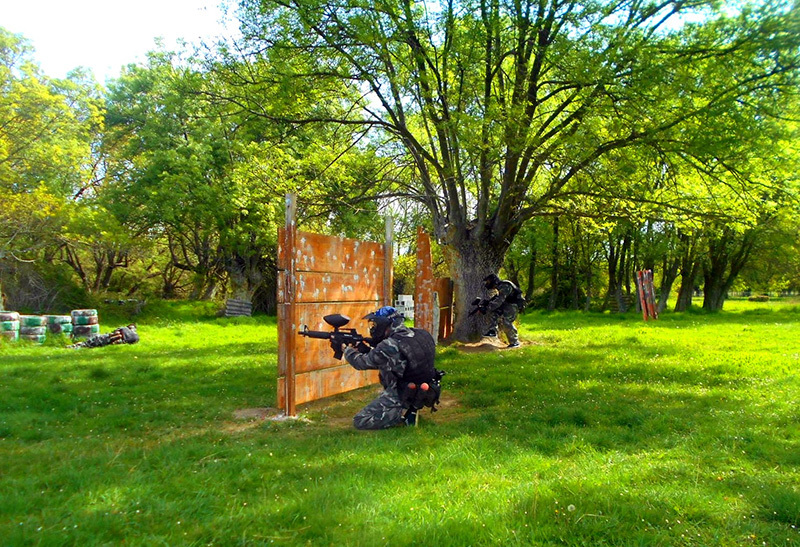 In addition, we are currently building 2 more paintball fields that will soon be at your disposal. 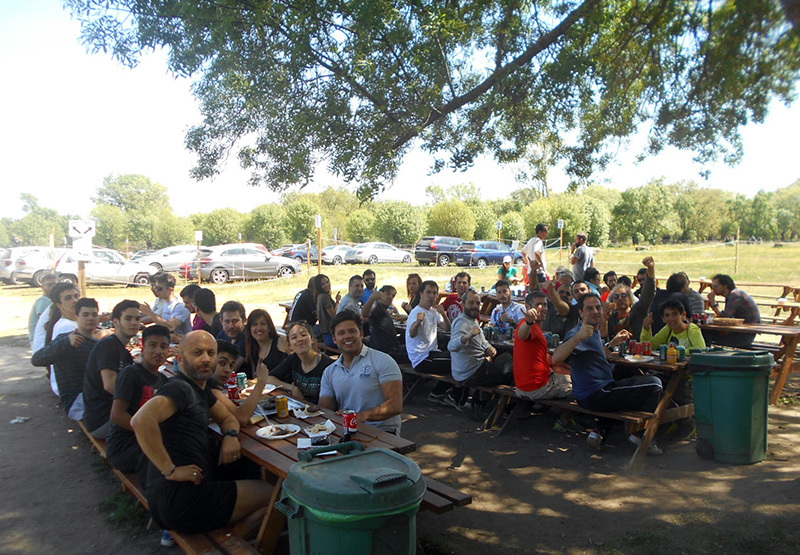 Our facilities include men’s and women’s bathrooms, changing rooms, parking for 90 vehicles, and a common area where you can enjoy our tasty Super Barbecues, completely integrated into an ash grove, so you can truly enjoy an unforgettable day in a completely natural environment. 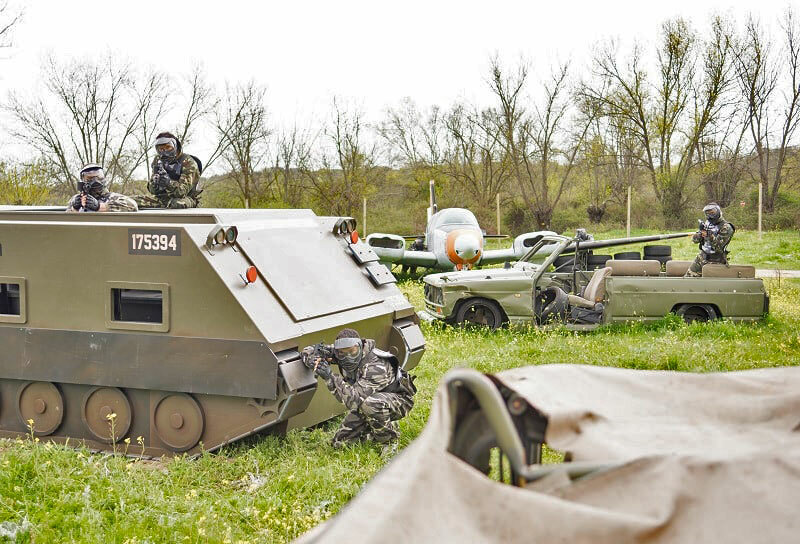 Visit our photo section to see our equipment, fields and environment! 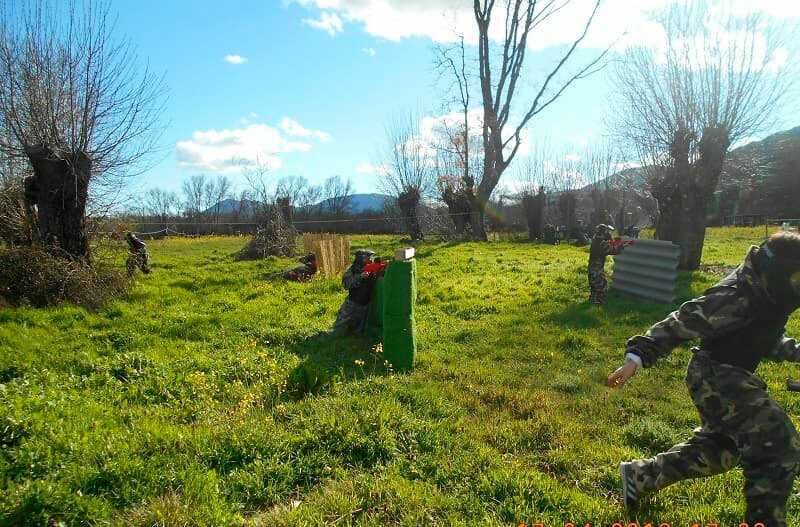 We also have an archery area, another for our famous Olympics and Yincanas, and a huge area where we play big Paintball or Airsoft battles, where we have made games of more than two hundred people. 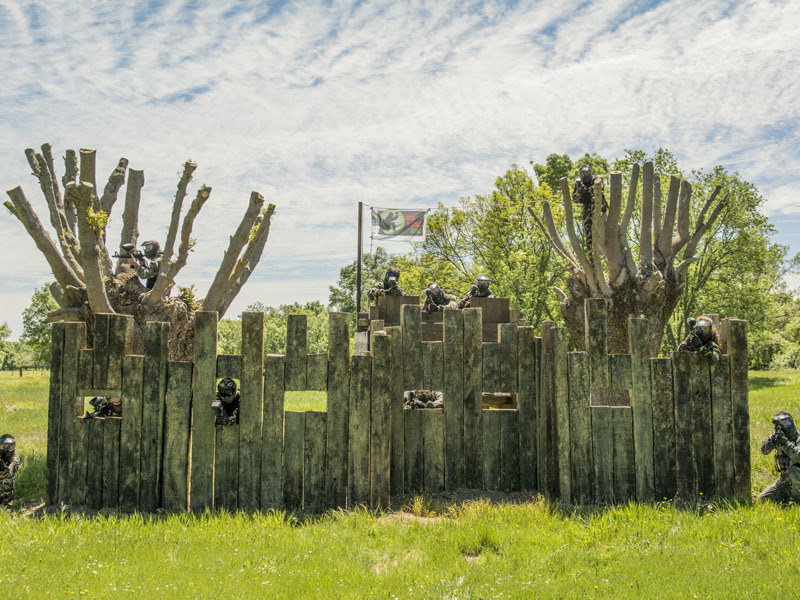 Outdoor showers to cool down after the game (bring your bathing suits in the hottest months!). 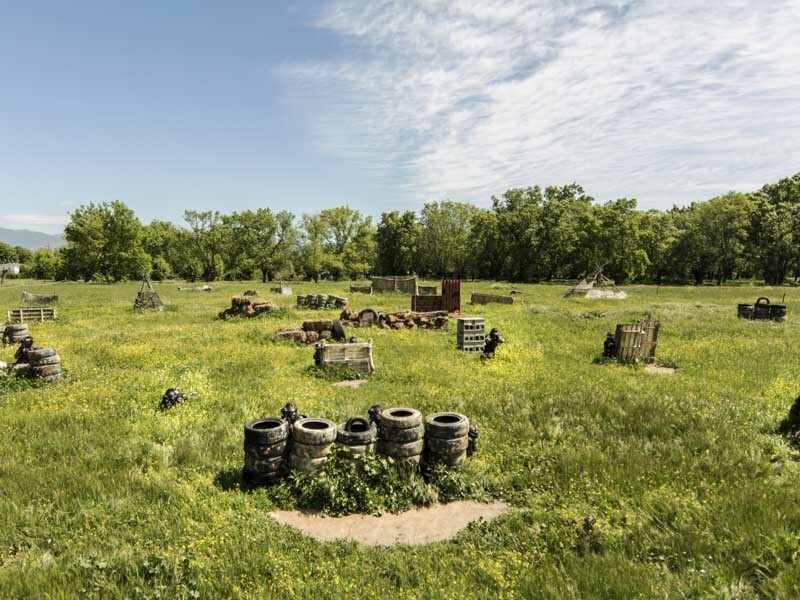 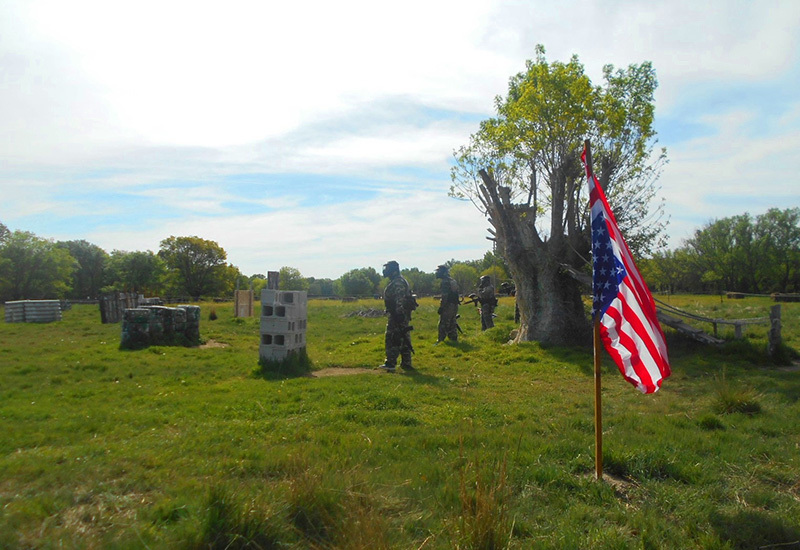 Shooting area with carbine and Paintball.